New Delhi [India], Mar 6 : The Radio City operator on Monday hit the market with its initial public offering ( IPO) with a price band between Rs. 324 and Rs. 333, which will be open for issue till March 8, 2017. As per a report by Moneycontrol, the analysts have largely given the issue price and prospects a thumbs up and recommend investors to subscribe. "Radio City is ranked number one in terms of number of listeners, total 4.96 crore listeners across top 23 cities (according to a survey conducted by AZ Research), whereas, its competitor, Entertainment Network India Ltd ( ENIL) is at second place with 4.05 crore listeners," said Angel Broking in a report. Neiman Marcus Group Inc has recently files for an initial public offering (IPO) with US regulators on Tuesday. This is the second time when the US luxury fashion retailer has revealed its plans of going public. Backed by Canadian Pension Plan Investment Board (CPPIB) and Ares Management LP, the 100-year-old-retailer is famous for selling apparel, handbags, shoes, cosmetics and designer jewelry. The luxury retailer operates nearly 41 department stores including the famed Bergdorf Goodman store on Manhattan's Fifth Avenue and the Last Call off-price chain. 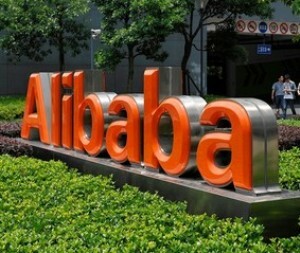 London, Sep 16 - Alibaba has raised the price range of its initial public offering (IPO) in the wake of increasing demand for the firm's shares. The move means that the IPO could raise more than 25 billion dollars when it lists in New York, the BBC reports. 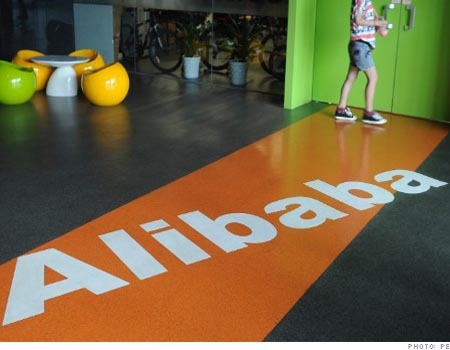 In an official filing, the Chinese Online giant said that it was planning to price its shares somewhere between 66 dollars and 68 dollars per share. 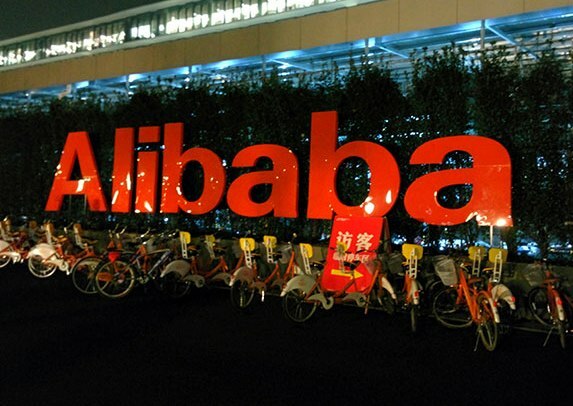 With an 80 percent market share of China's electronic commerce, Alibaba's sites also include Taobao, Tmall, and AliExpress . New Delhi - The IPO market seems to have remained untouched by the bullish sentiments in the overall stock markets, as less than Rs 550 crore have been raised collectively by 23 companies through their respective initial public offers so far in 2014. Besides, just one IPO is currently underway, wherein Sharda Cropchem is aiming to raise over Rs 350 crore through a public offer scheduled to close on Tuesday. San Francisco - Google's IPO, a decade ago this week, launched the company on a trajectory that continues to reshape its business and much of the world in its orbit. Page's vision is that Google's products and services will become the control center of people's lives: The company's driverless cars will chauffeur people around safer roads and deliver goods within hours of an online order. World's biggest hotel operator, Hilton Worldwide Holdings has been able to raise $2.35 billion in an initial public offering. The New York Stock Exchange has conducted a test run for Twitter's highly anticipated Initial Public Offering on Saturday as the company. The stock exchange and the company are aiming to avoid the types of problems that affected the Facebook's initial public offering on rival exchange, Nasdaq. The Big Board of the NYSE Euronext, conducted testing on weekends but this was the first simulated IPO following requests from its member firms, many of whom had taken part in the Facebook's 2012 IPO on Nasdaq. Social-networking service Twitter recently unveiled the plan for its initial public offering (IPO) providing a boost to the fervor that apparently misled many investors, sending bankrupt home entertainment group Tweeter’s up. Tweeter, a bankrupt electronics retailer, saw an impressive increase in the market value of its shares on Friday, Tweeter shares jumped to as high as 15 cents a piece on Friday, up 1,400 per cent up from the stock’s closing price of 1 cent apiece on Thursday. Washington, Oct. 4 : In a shocking revelation, one of Twitter's co-founder and former CEO, Biz Stone isn't name checked in the company's financial disclosure documents ahead of its market debut. Stone isn't listed among the Twitter stakeholders with 5 percent ownership or more, indicating that he may have unloaded at least a portion of his stake when he quit the company in 2011. According to the New York Post, 39-year-old Stone made an unceremonious exit from the micro-blogging site, joining co-founder Evan Williams at tech incubator Obvious Corp. The shares of social networking giant, Facebook have finally rose back to the level of its Initial Public Offering on Wednesday after trading lower for several quarters. The company's shares rose to touch initial public offering price of $38, which the company made a high- profile debut 14 months earlier. Experts have said that the company has been able to make the recovery due to an increase in mobile advertising revenue in the country. According to the latest data available, the initial public offering of Just Dial Ltd, which operates the local business listings site called Justdial. com, has been oversubscribed by 1.94 times during the final day of the issue. Repco Home Finance (Repco), which is a wholly owned subsidiary of Repco bank, has launched its initial public offering (IPO) with a price band of Rs 165-172 per share. The Chennai-based home financing company is offering about 15.7 million shares through the issue and is aiming to use the capital used to change its capital structure and for future credit growth. The company is sourcing its funds form the National Housing Bank (NHB) and other banks but is looking at other options such as public deposits and non-convertible debentures (NCDs). SeaWorld Entertainment, the operator of popular theme parks, has begun the process for its Initial Public Offering (IPO). The operator of SeaWorld, Busch Gardens and other theme parks is planning listed three years after it was acquired by private-equity firm Blackstone Group in a deal valued at $2.3 billion. The company is expecting to raise between $500 million and $700 million through the offer and Blackstone will retain a majority stake in the company. The Securities & Exchange Board of India (Sebi) is not trying to play any role in deciding pricing of an issue; rather it wants investment bankers to play their role honestly, the capital market regulator's chairman U K Sinha said. In a recent interview, Mr. Sinha stressed that the investment banker was the only person responsible for bringing in an IPO under any law, which was way the regulator was asking for their track record. Bharti Airtel shares shed 3.69 per cent to close at Rs 300.45 a share on Monday on the Bombay Stock Exchange (BSE), while the benchmark index SENSEX lost 0.38 per cent to end trading at 19,244.42 points. Bharti Infratel, a subsidiary of the country's biggest network provider Bharti Airtel, also announced that it had fixed the IPO price at Rs 220 and Rs 2010 per share for institutional and retail investors, respectively. The tower subsidiary raised nearly Rs 4,118 crore from the public issue. Anchor investors invested Rs 651 crore. Sunil Mittal, the head of telecommunication giant Bharti, has said that the the copany knew that the institutional investors and especially those from abroad would be strong supporters of the Initial Public Offering of Bharti Infratel. “We had a reasonably good visibility of the pipeline of the book there and we are close to 3 times the quota that we had kept for the qualified investors, and that has happened. We are very pleased with that,” he said.